Many employees want to get to the next step in their careers and are frustrated that it is taking so long. They might blame the company, their boss, or others for their career stagnation. If you find yourself in this position, take a minute to reflect on yourself and your behaviors. Are there things that you are doing that are holding you back from achieving your career goals? 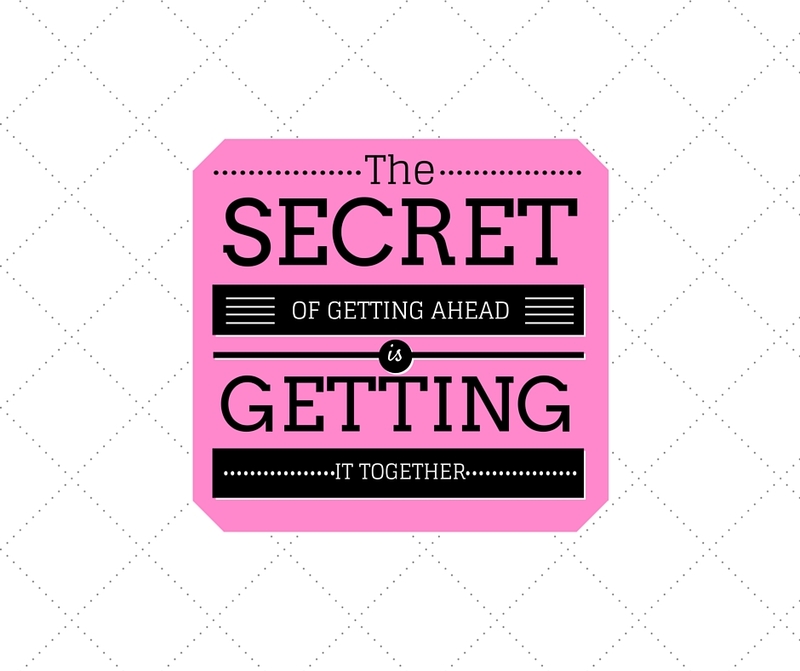 Are there also things that you should be doing that would help you in achieving your goals faster? The answer is likely yes. The first step in getting ahead in your career is identifying what you want to achieve and then sharing that goal with others. 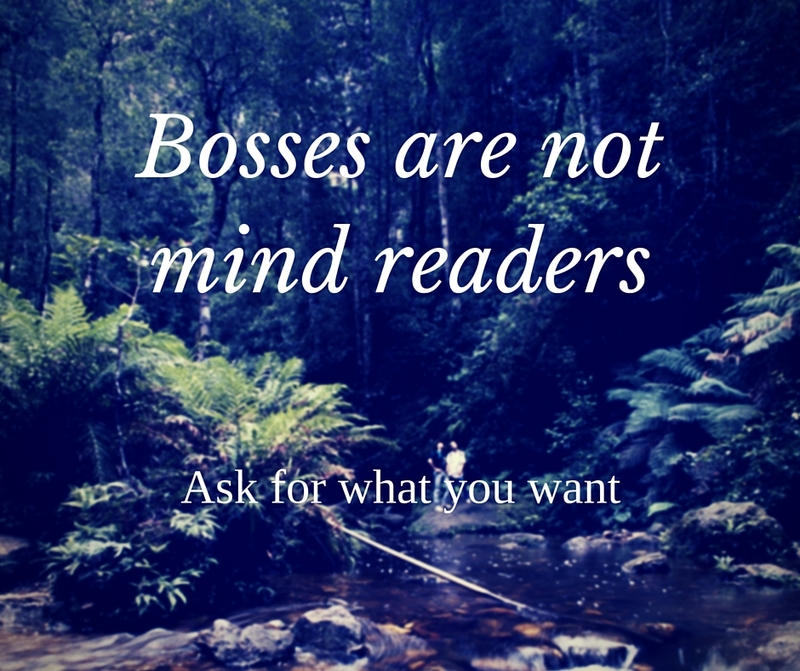 Many employees are disappointed that their bosses haven’t put them in the positions that they desire but bosses are not mind readers! Next time you want an opportunity, ask for it. For example, let’s say that you want to be resourced on a project working with multiple business areas but you have never expressed that interest to your boss. You see your boss assigning your peers to those projects and resent her for not considering you. In your next meeting, tell your boss that working on a cross line-of-business project is a development goal of yours. Ask what you can do to prepare for that opportunity. If you present it the right way, your boss is likely to help you achieve that goal. By being straightforward, you increase your chances of getting what you want. You also demonstrate confidence in your ability to succeed and ambition – two qualities that lend to career success. Even if you’re not ready for the opportunity you’re asking for, you may receive feedback on what you need to do to receive a similar opportunity in future. If you don’t ask for what you want, you might never know what you need to get there. Ask yourself this question, “How does my boss know that I am doing a good job?” Many employees expect that their bosses hear from other people that they are doing a good job or feel that their results speak for themselves. Truth is, if your boss does not physically see you do well, you are placing your performance evaluation on the belief that others will promote you to your boss or that your boss will notice your results on his or her own. Why chance it? Promote yourself. 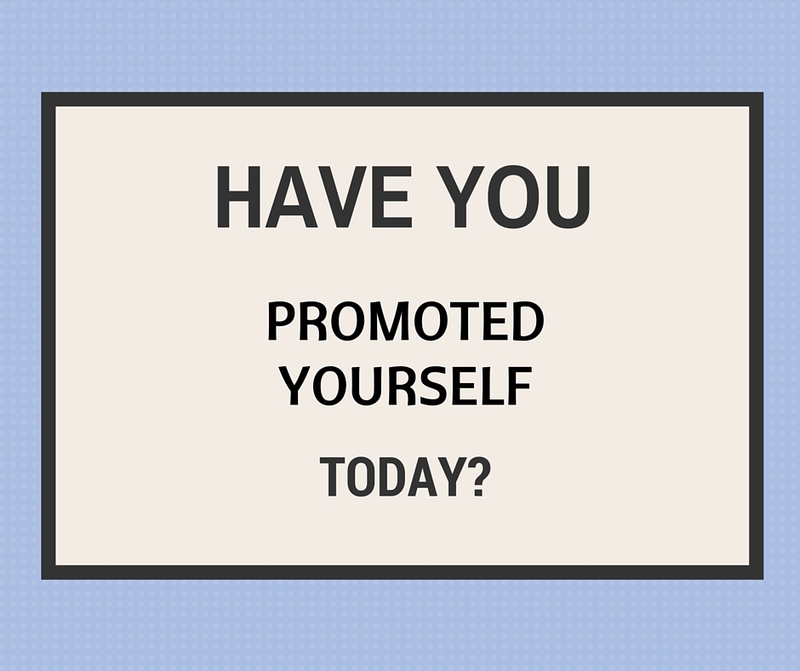 Promoting yourself is a skill that many employees struggle to develop. It can feel super awkward to share your achievements with others but if done right, it is an easy strategy for you to get recognized and get ahead. There are two self-promotion strategies that employees can use that are non-awkward and hugely valuable. The first, create opportunities for your boss to see you at your best. If you have a big meeting or presentation coming up, invite your boss to sit in. Let your boss see your negotiation, presentation, or conflict resolution skills first hand. Many employees make the mistake of only inviting their bosses to meetings for escalation purposes. Those meetings tend to be tense and everyone comes armed with their managers. 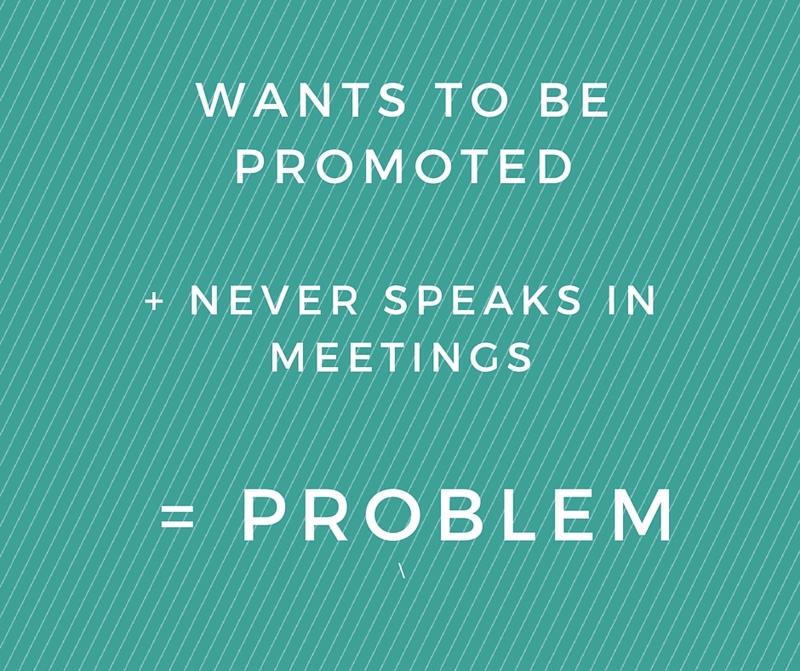 While these meetings can be a good time to get noticed, it’s not the opportune setting. Take your destiny in your own hands, and create the opportune setting. Second, let your boss know the next time you achieved a big win for the team or solved a difficult problem. They will like hearing your successes as an individual because those successes roll up to team or department successes that are ultimately credited to them. While the best way to share your achievements with your boss is face-to-face, you can also take an indirect approach. Forward your boss any emails where partners have recognized you for your efforts. While the above strategies will help you get ahead, there are ways you can promote yourself that can backfire. Never promote yourself at the detriment of others on the team. It is bad if your self-promotion is a comparison of what you know versus what the team knows or what you’ve accomplished versus what your peers have accomplished. Promoting yourself through comparisons is never a good strategy. It can make you look cocky when you were going for confident or self-focused instead of team player. Avoid trouble and keep self-promotion focused on your self only. Office visibility is so critical to getting ahead yet so many employees ignore, downplay, or even resent its importance. These employees also seem to resent their coworkers who do take advantage of those prime opportunities to speak up in front of the right people. If you feel this way, you are not alone but you are missing the point. No one wants you to talk just to talk. If you want to move up or be in a leadership position, you have to demonstrate that you have influence over a group. You have to show that you can work with others to meet team goals. If you are silent when given opportunities to demonstrate those competencies to the very people who have the power to move you to that next level, then you are holding yourself back. A coachable employee is a manager’s dream. The best employees are able to accept constructive criticism, address it immediately, and show improvement to their manager. You may not always agree with the feedback from your manager, but if you make a concerted effort to implement their suggestions, it will score you major points. Managers get personal satisfaction when they see their team improve and grow, especially in the areas that they have discussed. Employees don’t always act on the feedback they are given and worse, some don’t seem to capture that feedback at all. For some reason, feedback doesn’t always “sink in” and employees can say that they don’t receive the feedback at all. It is clear to managers that some employees only hear the ‘good’ from the review and blocked out the ‘needs improvement’ items. A Google search on millennials in the workplace will reveal that millennials want constant feedback. Perhaps millennials are getting feedback but they are only selectively receiving it. 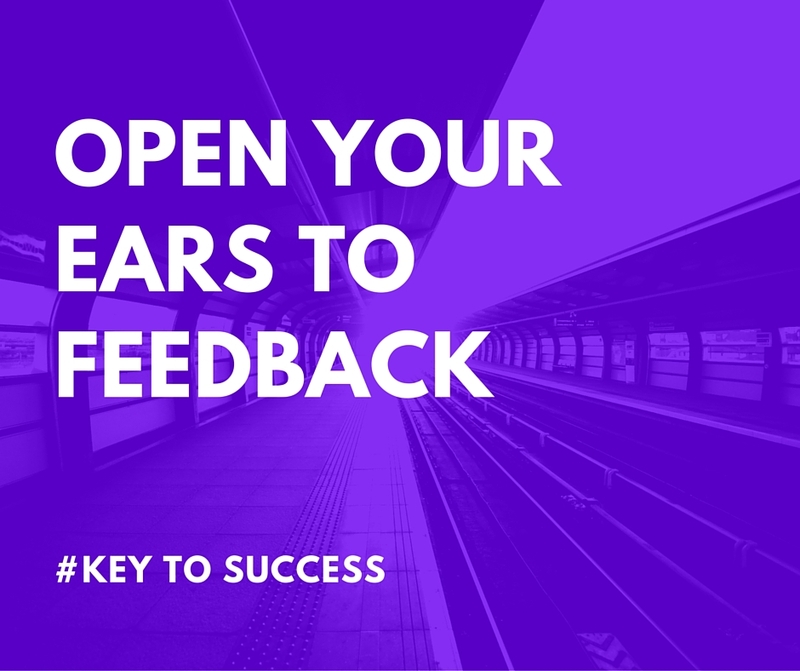 If you feel that you are not receiving feedback, take a hard look at your interactions with your manager and peers and make sure that you are receiving all of the feedback they could be giving you. It’s possible that you are tuning out or not picking up on opportunities for your professional improvement. Moral of the story – If you do receive feedback, document it and act on it to show you are coachable. Presentation becomes more important as you move up the food chain. Managers will not put someone in a position to represent a team, a department, or a business unit if they do not think that person will present the group in a positive light. Public speaking skills, the ability to write for executive consumption, organization, and a polished, professional look are non-negotiable for most corporate leadership positions. If you stumble in front of large groups, lack a filter, write sloppy emails, don’t take notes, come in late, forget things, or dress like you’re still in college then you are probably putting yourself out of the running before you even apply for a promotion. Luckily for you, if it’s just your presentation that is holding you back, it’s a fairly easy thing to improve. Join a Toastmasters group or ask peers for feedback to improve your presentation skills. Make it a habit to join all meetings a few minutes early. Take extra care when crafting your emails and collect your thoughts before you speak to appear polished. Spend time preparing for meetings, clear your desk, anticipate your boss’s needs, and keep an agenda to show that you’re organized and on top of things. Lastly, dress for the job you want and not the job you have. Dress one step better than your peers to stand out. News flash – You likely won’t be promoted every year, get a $20,000 raise staying in the same position, or be given extravagant bonuses in your first year on the job. 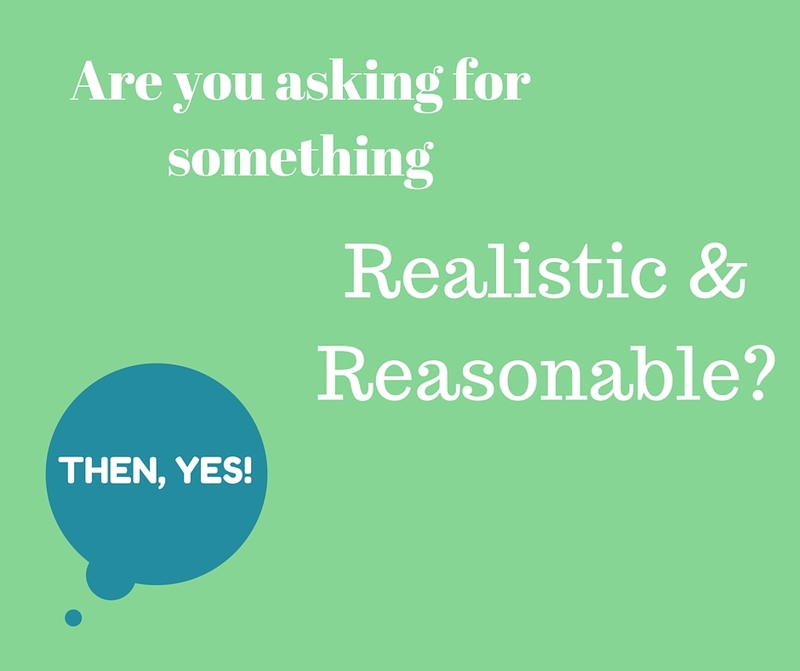 Before getting upset about not getting what you want, make sure that what you want is realistic and achievable. Look around the company and get a feel for the traditional career path of employees. How long do employees typically stay in the same position and more importantly, what skills do they develop to get to that next level? Many employees falsely correlate length of time in a position with readiness for a promotion. Make sure that you have the skill set and knowledge required for the next level before expecting a promotion. If you don’t know what skills and knowledge are required to get to the next level, ask. 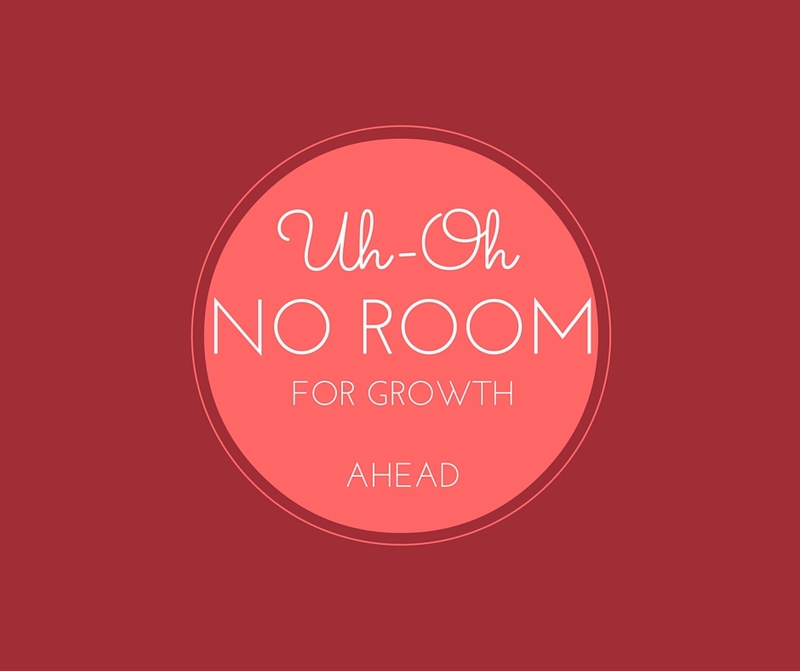 Even a rockstar will get stuck if there is no room for growth. Determine if upward mobility is a possibility before getting frustrated with your lack of advancement. For example, if you want to someday manage a team but you’re working for a small company, then you may want to consider working for a large company that will have more people management opportunities. If you want fast-growth and changing job responsibilities then you may want to work for a budding company or a start-up. If you want to eventually bring home a high salary but you’re not working in an in-demand-field then you might want to switch to a different field with higher earning potential. Employees should always think five years ahead when accepting a job offer to ensure that their expectations for growth match what their employer can provide. Accepting a position with upward mobility can better ensure advancement and professional development opportunities in future. The realization that you are in control of your own career path is empowering. Get rid of the excuses, eliminate the ways you may be holding yourself back, and put yourself out there. You and only you are responsible for your success. Do any of these items resonate with you? 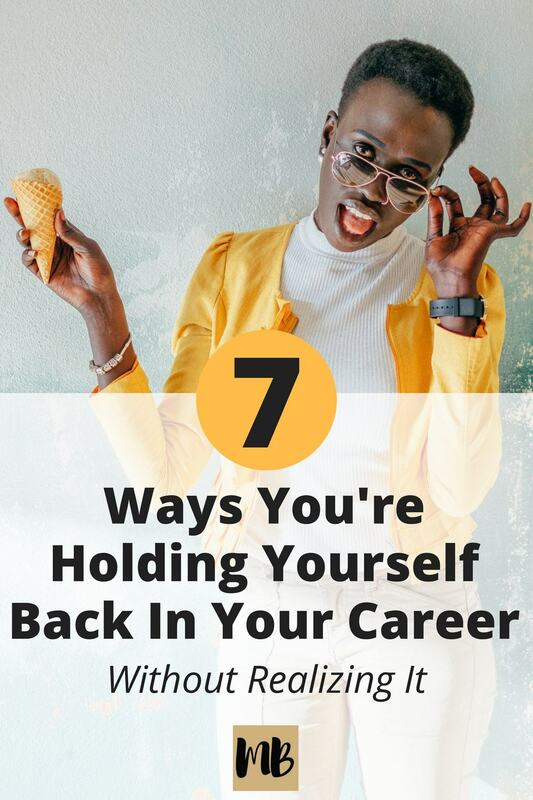 What ways have you held yourself back in your career? These are some really helpful points that make you think about your career path. Most of these things are overlooked by most people but these could be the very mistakes that are stopping you from advancement at work. Thanks for sharing. Trenton recently posted…Top 50 Survey: What’s New in 2017? This is a really great post! I know my weaknesses and I’m working on strategies to work around those. I’m definitely one of those with ‘doesn’t talk in meetings’ tendencies, and I prefer to dress down (and this has been fine in the roles I’ve held to date) and am terrible at self-promotion. Sloooowly as I’m getting more enmeshed in more commercial environments (I think I’d like my next move to be to a true corporate workplace) and learning how they work, I’m getting there. None of it comes naturally to me. Thanks for sharing a post, it really helps peoples by holding their career.